Duplicate of Chrysler factory original part. Exactly the same material and size. Fits the same. Looks the same. 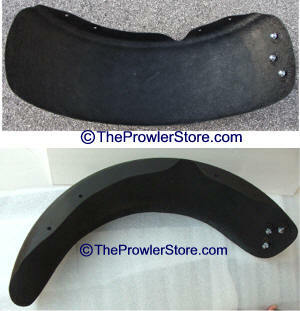 Will match your stock fender. 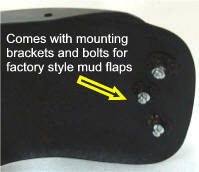 Includes mounting system with bolts to mount factory style mud flaps 6x(¼” - 20” x ½”) & 6x(washers). 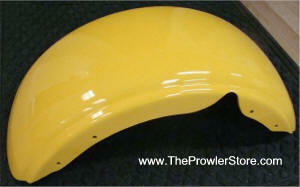 Our fenders come primed, painted and clear coated and ready for prep and paint. If you would like them painted to match prior to shipping please see the painted option above. 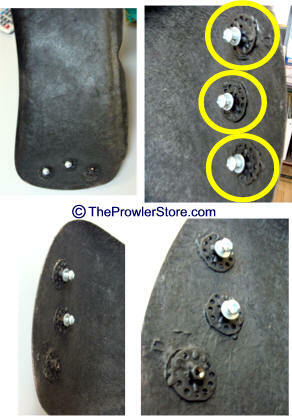 Includes mounting hardware to replace the rivets that must be cut/ground off in order to replace the fender. 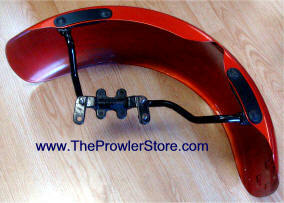 ***Note: This fender does not include the large metal mounting bracket. If the large black metal bracket is damaged, the fender must be replaced as a unit with the Fender and Bracket listing at the bottom of this page. See Part Numbers IH-4897745AB and IH-4897744AC. Our fenders come ready for prep, prime and paint. 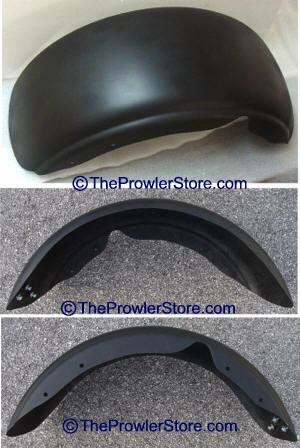 If you would like them painted to match prior to shipping please see the painted option above. 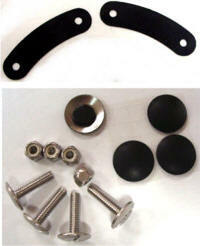 Includes mounting hardware to replace the rivets that must be cut/ground off in order to replace the fender. 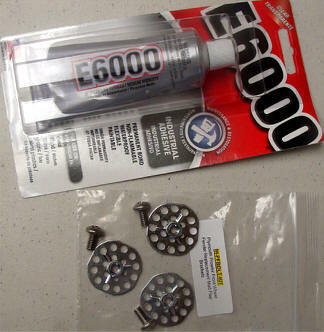 Fender Bracket Replacement bolt set. Enough to mount one complete Prowler fender R or L.
If you replace your fender the stock bolts are riveted on and must be grinded off. 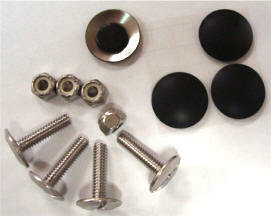 These bolts include black matching heads and lock washers to a tight secure fit. Matches factory rivet "bolt" bolt heads when mounted. Bolts sold separately see item above. If your factory fender mud flap mounting plate/bracket is missing you may use this kit to mount your factory or factory style mud flaps. 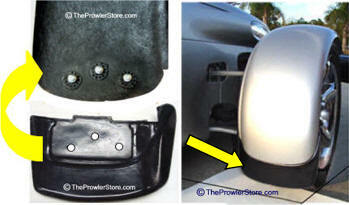 Fender Replacement fender Mud Flap Bracket Kit. 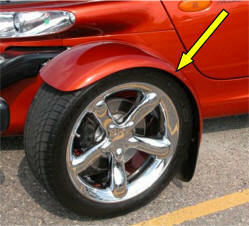 Enough to mount one mud flap on one Prowler fender R or L.
One set Includes: 3 x mesh female receptors, 3 x (¼” - 20” x ½”) stainless steel & 3 x (washers). Epoxy Glue is optional. Original Chrysler factory part. Factory fender with mounting bracket attached. Choose fender side. Comes in painted or in primer. We can paint to match your car which cost extra. 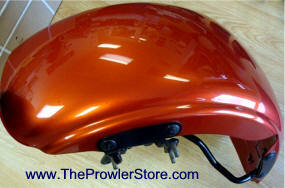 Or you can get it in primer or whatever color is available. Choose Passenger or Drivers side. **Include metal mounting bracket attached.